The 2012 International truck bearing licence plate # 2664ZW that was reported stolen from the lot at Winslow Gerolamy has been recovered. On the 25th of October at approximately 3:00 pm police were called to the rear parking lot behind the Sleep Country store on Lansdowne Street West after witnesses observed the stolen truck parked there. Suspects removed the driver’s door lock, ignition, interior light, and plastic casing surrounding the ignition. Anyone with information on this theft is asked to call the Peterborough Lakefield Community Police Service or Crime Stoppers. Sometime between 10:00 am on the 22nd of October and 9:00 am on the 24th of October suspects stole a 2012 International Pro Transport truck, white in colour, bearing Ontario licence # 2664ZW. The truck that is used as a rental unit was parked in the rear lot at Winslow Gerolamy Motors on Lansdowne Street West. It is valued at $115,000.00. Both sets of keys have been accounted for and at this time it is unknown how the vehicle was entered and started. 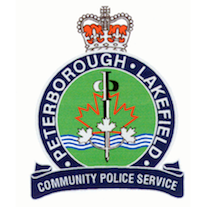 Anyone with information is asked to call the Peterborough Lakefield Community Police Service or Crime Stoppers.